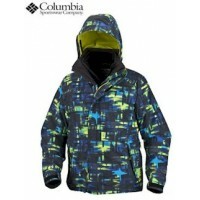 The Velocity is pure Helly Hansen - highly technical with great looks (just like professor Stanley) - insulated and detailed to deal with a full range of sports in colder mountain conditions. 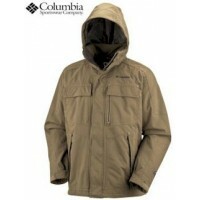 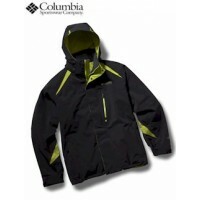 In addition to it's great looks, this jacket features, fully waterproof, breathable Helly Tech fabric with fully taped seams (5,000mm hydrostatic head protection), Warm Core insulation (compact, lightweight but effective), waterproof zips, Pit-zip venting, Wedge Lock hood adjustment, detachable hood, snap-away stretch powder skirt, snap-away hem drawcord adjustment, multiple interior and exterior pockets, mesh lining with silver backing for heat retention, pant & jacket interface system, goggle pocket, pass pocket, moulded Velcro cuff tabs. 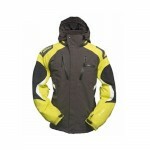 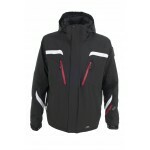 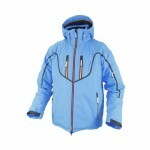 Helly Hansen Velocity Ski Jacket (61035).